WanderMan: A Low Cost Portable Espresso Machine That Works! - Coffee Time! A Low Cost Portable Espresso Machine That Works! - Coffee Time! Making and drinking coffee is a topic that is near and dear to me and, I suspect, to many RVers. There's something about the aroma of freshly brewed coffee wafting through the RV in the morning that is somehow invigorating and familiar. I've covered many ways to make coffee in an RV (even k-cups without power!) and thought I had found some excellent methods. Well, I found another. A while ago I purchased an old fashioned double-boiler style espresso maker. It works quite well and fits nicely on my RV stovetop. That's really the only way it can be used easily. 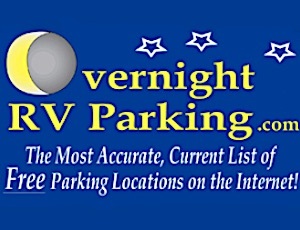 Well, what if you can't use the stovetop or are away from the RV and still want your "morning thunder"? Find and buy a portable espresso maker. Last time I looked, they were very expensive for a device I would only use occasionally. Well, that's changed! For only $11.00 (with a coupon) you can purchase a workable, portable, compact espresso maker! Like you probably are right now, I was VERY skeptical. Especially at that price point. Since it was Amazon and they allow for relatively easy returns, I figured....why not? It arrived a few days (2 to be exact) later and was packed in 2 sturdy boxes. Inside was the device, a coffee measure, a soft case and, for some reason, another set of rubber grip bands for the outside. It had black ones installed, but they give you a red set as well....no idea why. I guess you can call it a bonus! So, how do you use it? The bottom of the device is the cup. Remove it, unscrew and fill the coffee compartment and lightly tamp it down with the back of the measuring spoon. Remove the top, flip over and fill with boiling water. Insert the unit into the top, flip back over. Pump the handle slowly until coffee dispenses into the cup. Keep pumping until it's empty. About 8 pumps. It runs at about 8bar (8 Atmospheres) of pressure, plenty for decent espresso. Wow... the aroma was amazing! Clean up is simple. Dump the grinds. Rinse everything (wash with some soap to get all the oils out of the cup) and let dry. SIMPLE! Just the way I like it. Self-cleaning would be better, but that's just me. All in all, this is a winner of a product. Inexpensive and it actually does what it is advertised to do. What more could you want? I know..someone to make it for you? I'm kidding....of course. I find making coffee relaxing. Once you have espresso, you can make any number of coffee drinks with it. Lattes, Cappuccinos, even use the espresso for recipes! Couldn't find it on Amazon. How about details on brand and model? It is not an espresso coffee maker, but what I use and really like is an OXO Pour Over Coffee maker. It an excellent choice for an RV because it is smaller than a coffee machine and it does not require electric when off the grid since you can heat the water on a gas stove. Clean up is easy and thus safes water since I just heat the water in the microwave in the same cup that I am going to use for the coffee. It can actually make better tasting coffee than a machine because you have control over the water temp. Coffee brewed at different temps have different flavors. Also, every cup is fresh so no stale coffee. Cost is about 15 bucks. YouTube has about a minute and half video produced by OXO that shows exactly how it works. Pour over coffee makers are great, Lots of folks just use a french press as well. You can buy a dollar coffee filter mug/pot contraption that does the same thing use easy to throw away coffee filters. The Real Danger Of Rain and Tire Grip.